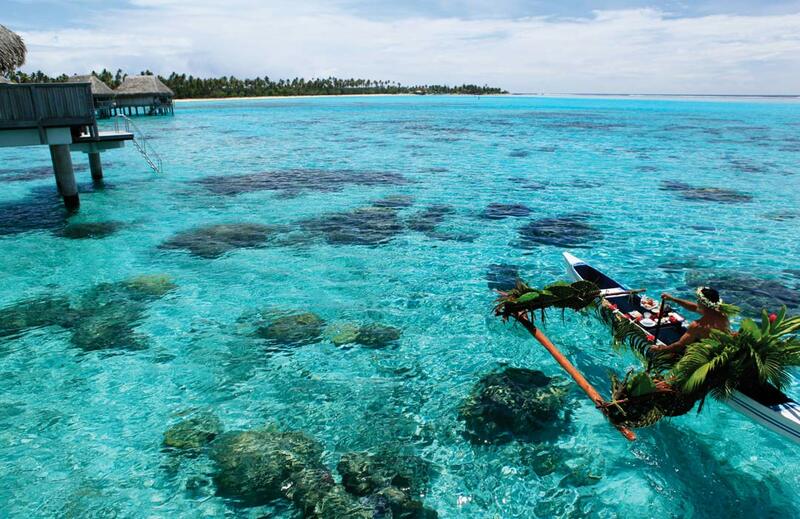 Known as the Magical Island Moorea is one of French Polynesias most inspiring destinations. Sofitel Moorea Ia Ora Beach Resort sits on a crystal clear lagoon with white sand beach and at its back jagged green mountain reaching into the clouds. 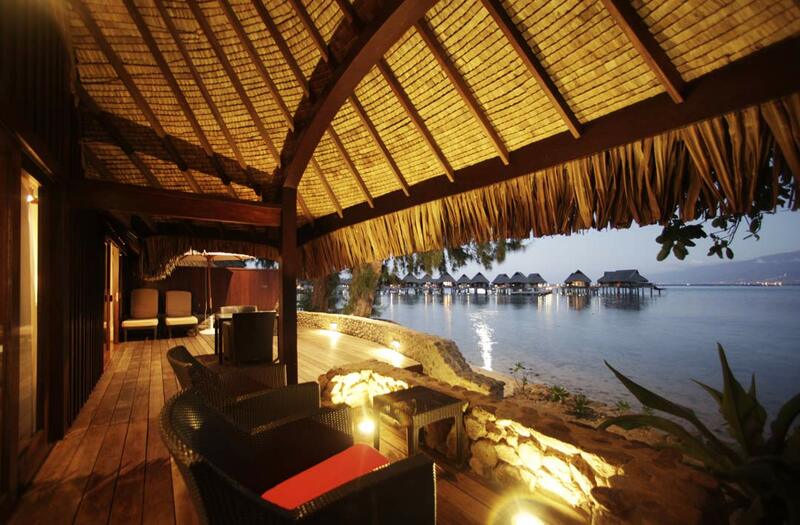 Polynesian bungalows float in the lagoon and tucked away in gardens or on sandy beach. 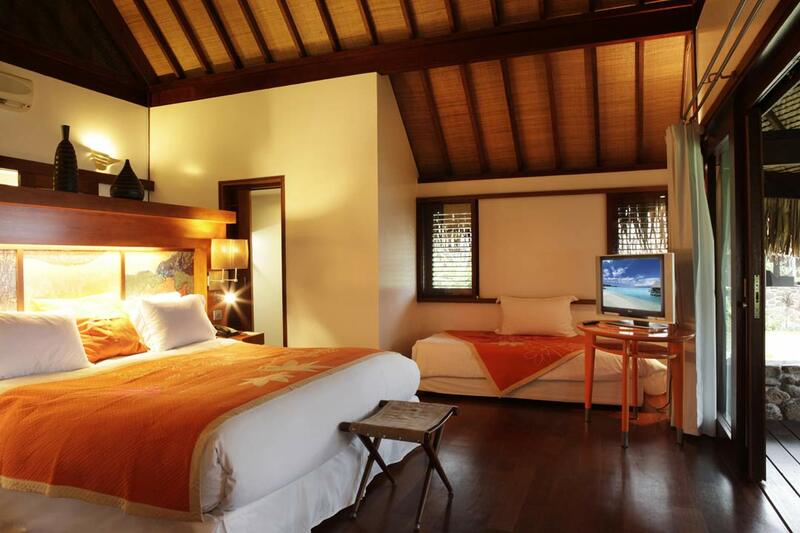 Each bungalow at this South Pacific resort embodies the beauty of the destination featuring natural materials stone-tiled rainfall showers luxurious deluxe bath amenities modern technology luxurious beds and relaxing day beds. 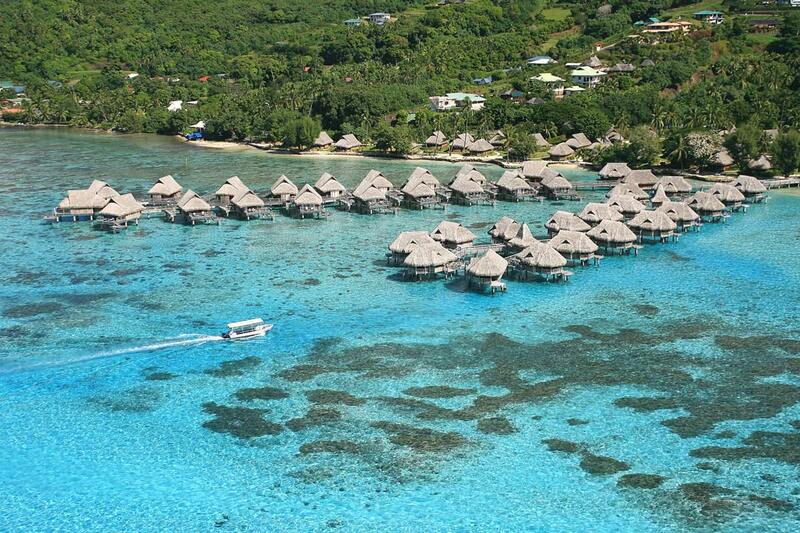 Sofitel Moorea Ia Ora Beach Resort is an ideal honeymoon resort or destination for a magnifique island wedding. 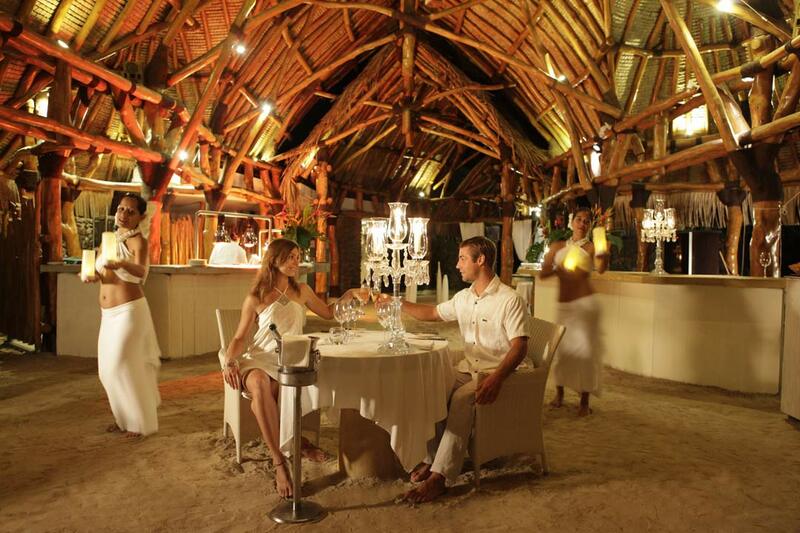 Celebrate your love in one of the worlds most unforgettable settings. 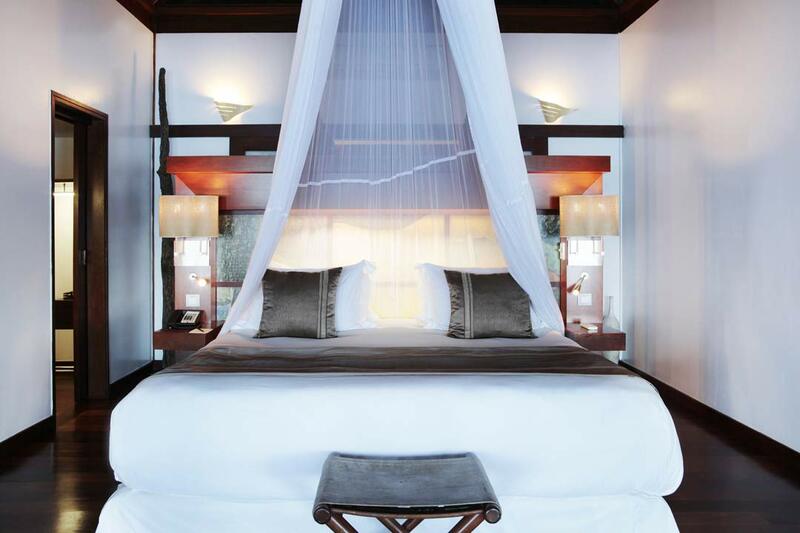 Sofitel Moorea Ia Ora offers 114 superior and luxury bungalows (overwater, lagoon front, beach or garden) and 1 two-bedroom luxury villa with private pool. Rates per bungalow/villa per night, signe or double occupancy, inclusive American buffet breakfast, daily reffiled minibar, 5% VAT, 5% government tax, 5% service charge and 150 XPF per person per night city tax. 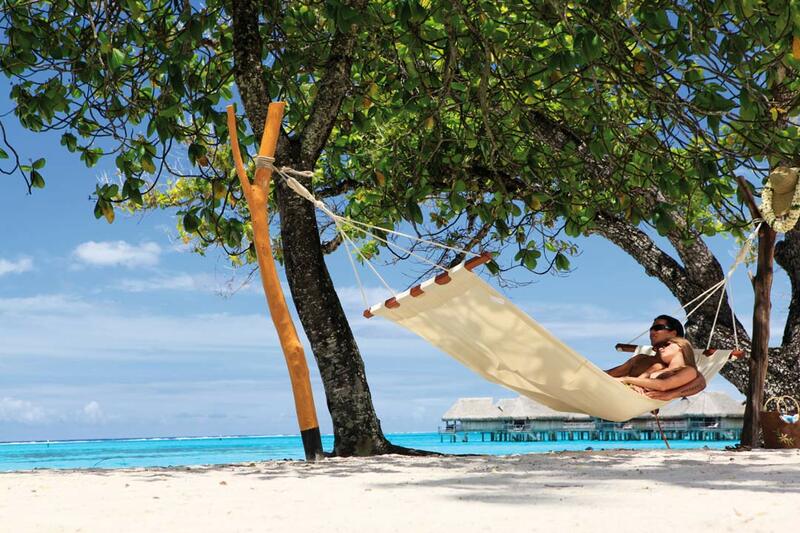 => Combining stay with Tahiti Ia Ora Beach Resort, receive 20% discount on your stay at Sofitel Moorea Ia Ora Beach Resort and at Tahiti Ia Ora Beach Resort. 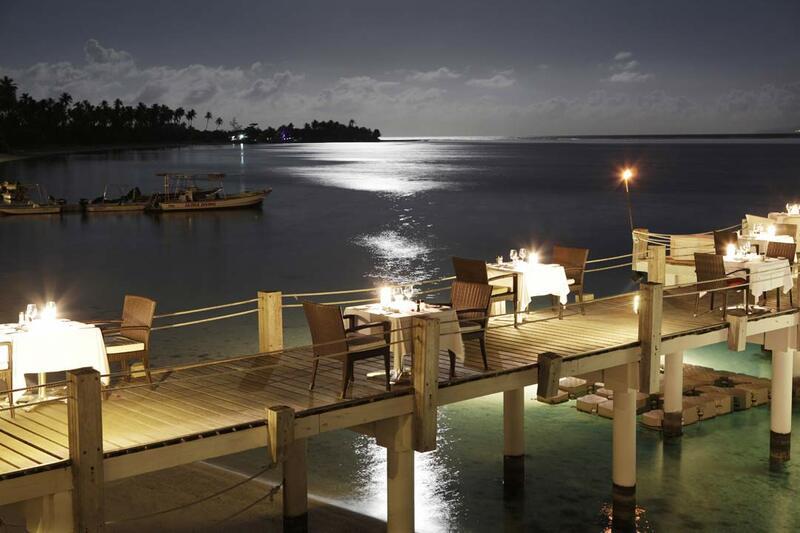 => Combining stay at Tahiti Ia Ora Beach Resort with Stay Longer, Save More offer at Sofitel Moorea Ia Ora Beach Resort, receive 25 to 30% discount on your stay at Tahiti Ia Ora Beach Resort, depending on lenght of stay at Sofitel Moorea Ia Ora Beach Resort. 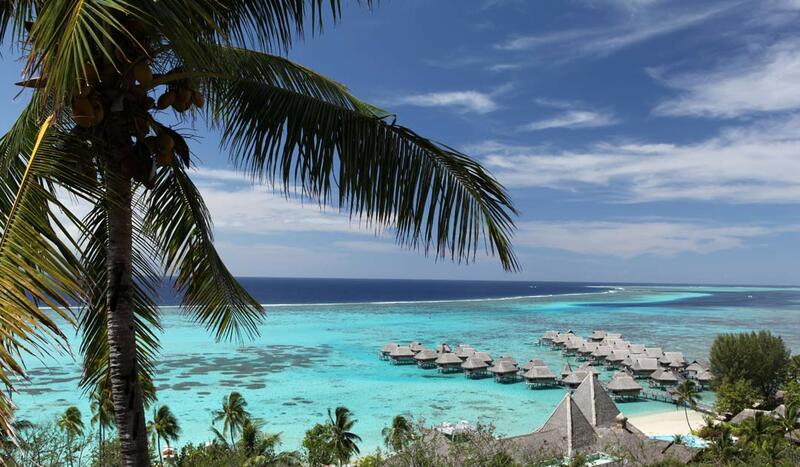 => Combining stay with any other French Polynesian Sofitel resort, receive 20% discount on your stay at Sofitel Moorea Ia Ora Beach Resort + additional 10% discount when combined to 'Stay Longer, Save More' offer! PURE : local and international cuisine. Themed buffets according to season and in particular the traditional Polynesian buffet "Maa Tahiti." 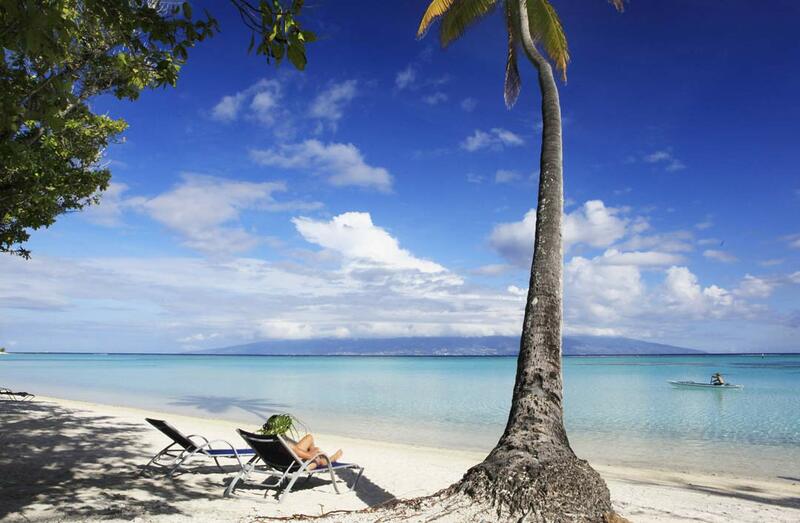 K : offering a mythical sight of the lagoon and of the island of Tahiti. 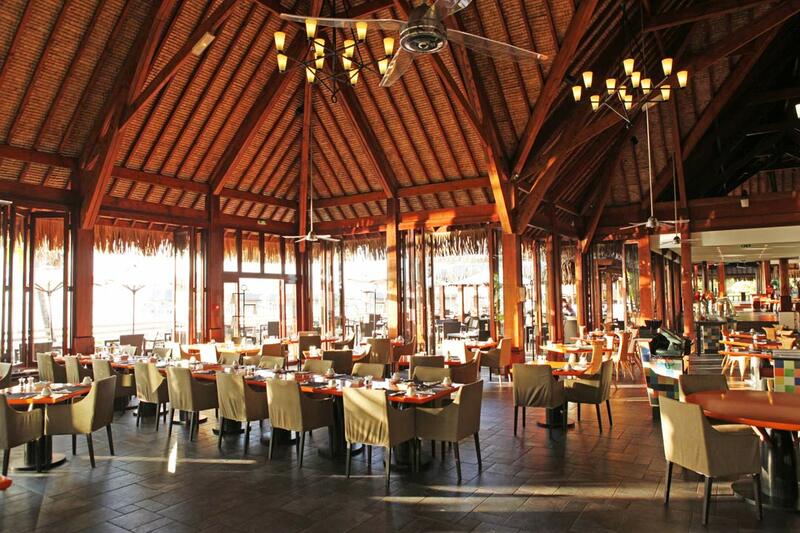 Enjoy the world class cuisine K offers in an intimate and romantic setting while enjoying a Polynesian dance show. VUE : bar overlooking the pool and lagoon, with views of Tahiti, for a quick lunch or a cocktail. 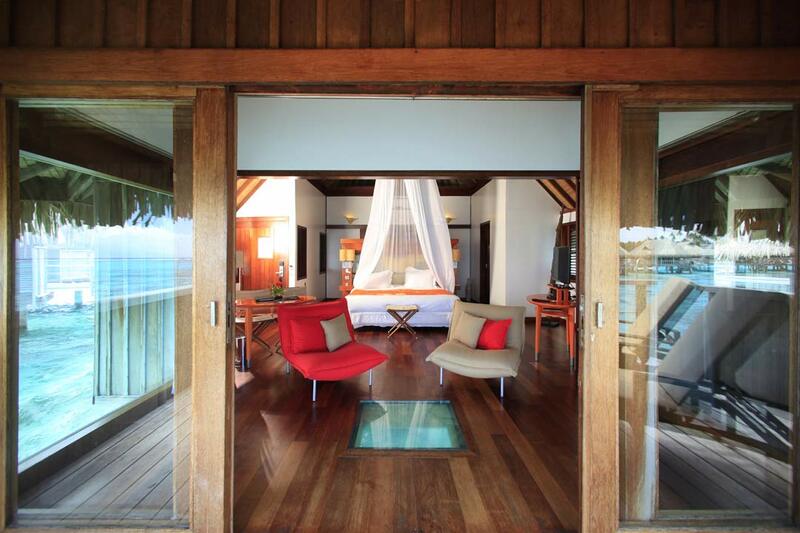 Enter a soothing space with 7 tranquil spa suites a calming Jacuzzi and a panoramic view stretching across the lagoon. Retreat to a Moorea spa resort renewing the body with hot stone massages tropical body wraps and Polynesian inspired treatments. A beautiful swimming pool invites for a refreshing swim. Frolic in spectacular surroundings with views of the ocean and the island of Tahiti across the water. 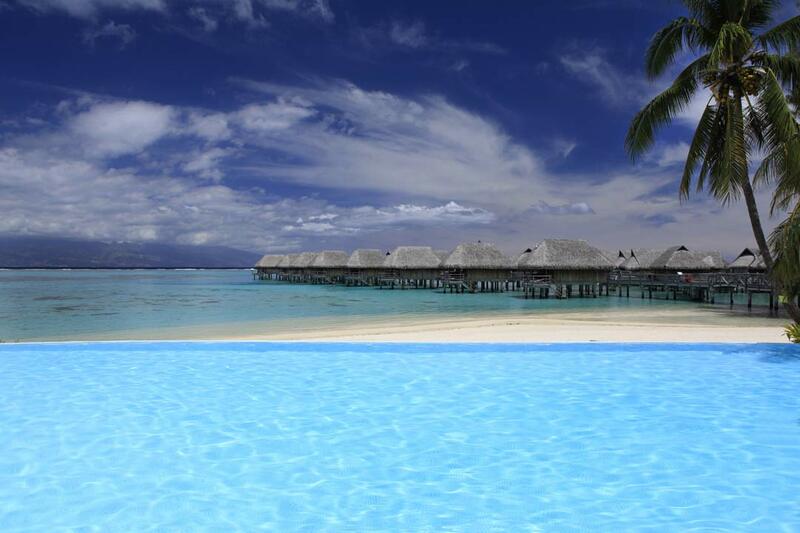 Or floating in the pool gaze back at the lush green mountain of Moorea rising skyward.